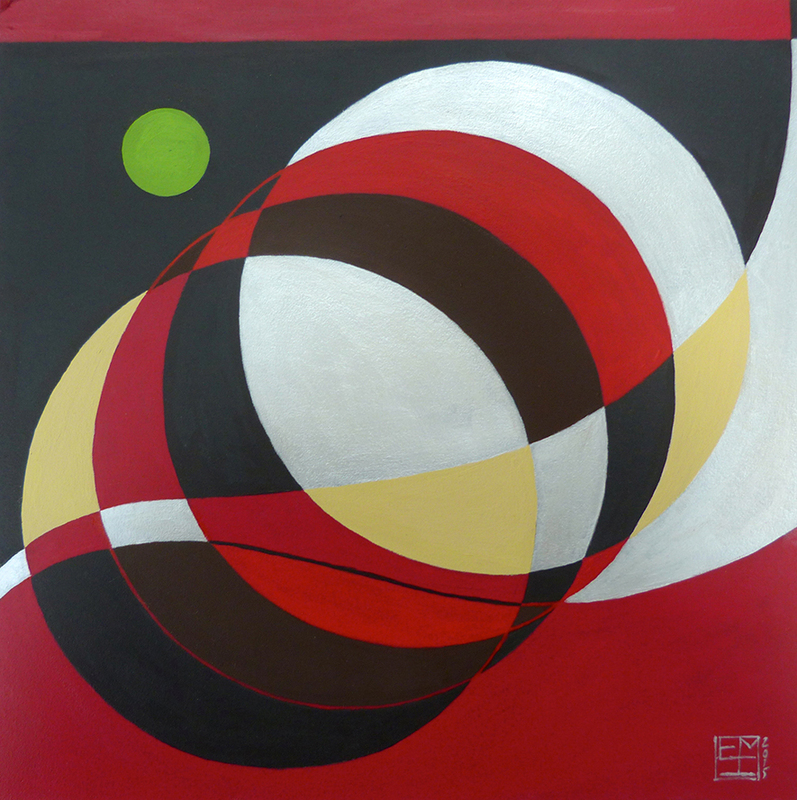 This painting is the third in the Planets in Transit Series by Eva.Inspiration for this series came from the sky at night and the movements of the exciting and mysterious heavenly bodies. Eva has always been enchanted by the planetary movements and their effects on every living thing on earth and their interplay with the rest of the universe. In a private collection in Cambridgeshire.